Oh sad I have no time for my art. Ebay has taken over, my home is full of boxes. Molly is sharing the settee with three banana boxes full of china. She's such a good girl. I got a recommendation to try Cotswold Mounts here my first order arrived and the mounts are such good quality. Much better than the three shops I have tried locally. So on line mount orders for me from now on. Postage is a bit dear at £7.00 but the courier driver was nice and friendly. I have a new follower on Twitter randel Plowman he's a collage artist, I follow him on blogger as A Collage a Day. He has a new book due out in the UK in October. 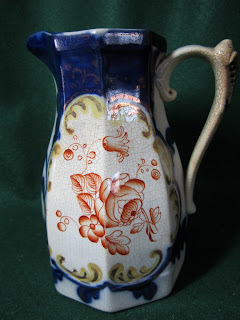 Very old c1840 Gaudy Welsh Jug, sadly chipped, cracked and crazed, but I hope someone will love it. 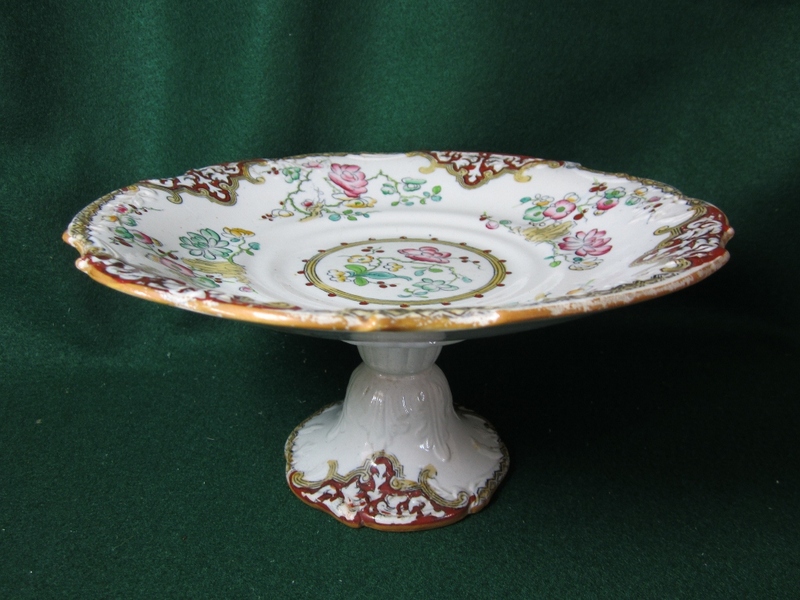 Cake stand or tazza by Charles Meigh again very old 1820 - 1840. 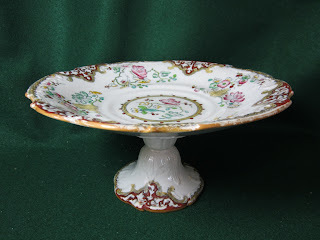 Hope someone buys this and uses it for weddings or tea parties. Ants have attempted a squat in the kitchen, defeated with CIF Anti-Bacterial spray. Its got a strong pong, spray loads on the ants spray where they are coming in. Result ants dead in seconds and no returns. Mind you Molly and I exited stage left pretty quick before we keeled over from the fumes. Yes....ebay can take over....it did that to me before I lost my internet connection for 35 days. I hope everything sells really well, and that you can either heal or replace your car Joan .